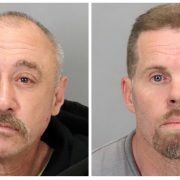 A 68-year-old man arrested and charged last year with the 1983 sexual assault and murder of a 19-year-old woman whose body was found in Pacifica has been cleared of all charges after additional DNA analysis reversed an earlier tentative match. John Scott, 68, of Topock, Arizona had been arrested last November and extradited to face charges in San Mateo County for murder. He was released from custody Thursday after his case was dismissed due to insufficient evidence, according to prosecutors. On Oct. 30, 1983, sightseers found the body of San Francisco resident Sharon Ray on a beach north of Pescadero Creek Road. She had been sexually assaulted and strangled, according to prosecutors. Ray was last seen one day before she was found dead, in San Francisco’s Tenderloin neighborhood getting into a station wagon. Investigators determined Scott, who was 35 years old at the time, matched the description of the station wagon driver. He was arrested as a suspect in her murder, but later released because there was insufficient evidence to prosecute him at the time, prosecutors said. Last February, investigators reopened the decades-old murder case after the sheriff’s office’s forensic lab was able to analyze DNA found on Ray. When the DNA evidence did not match any in a national database, investigators obtained Scott’s DNA evidence from a Gatorade bottle. The evidence garnered a tentative positive match to fluid found on Ray, according to prosecutors.